Foxy loves when it get the time for him to go to bed. Do you wont to know way he loves it? It is weary easy to understand way he loves his sleep time. That is the time when he can have his favorite Pikachu plushy close bay that he can sleep and cuddling whit during the night. 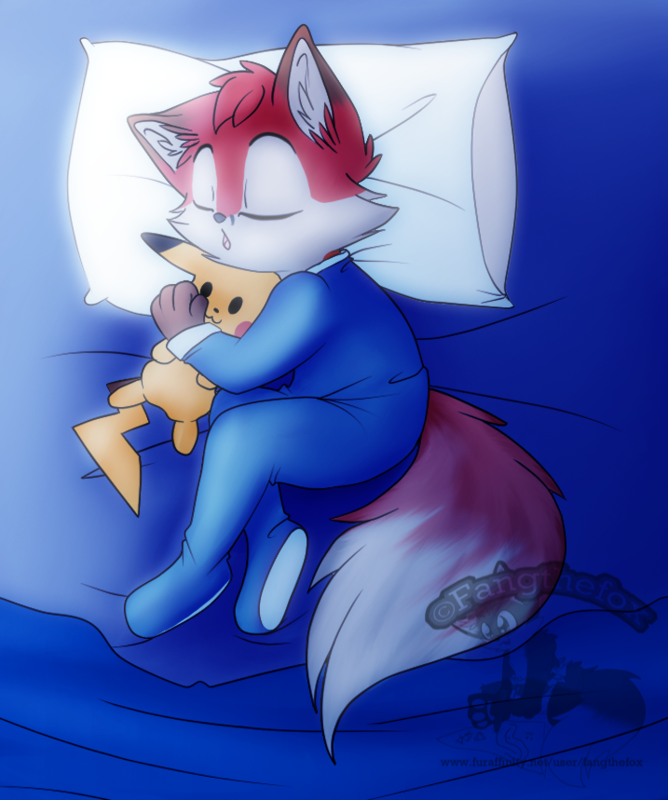 And if he wakes up from a bad dream that he do some time Pikachu is always close bay ready for some nice snuggling and he is always special soft during that moments. And that is something that Foxy loves allot and that helps most of the time. He is like a extra mommy for Foxy some time when he need something soft and warm. yes i think so to. and way should it not be peaceful when i sleep whit my plushy? Very cute, and some very comfy looking jammies!